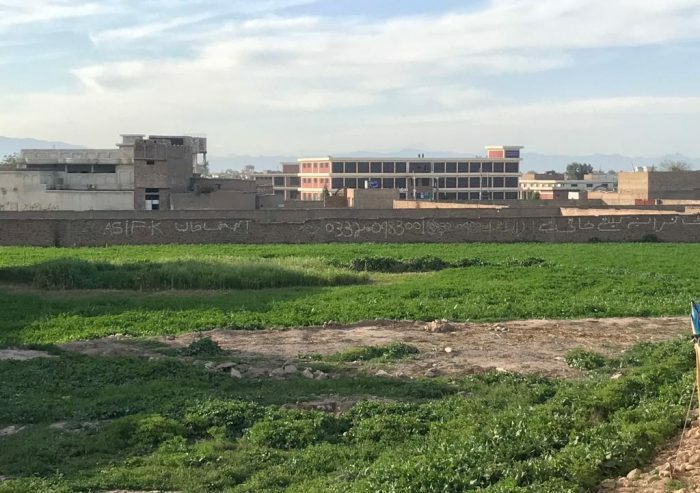 PESHAWAR: At a time when the country needs more food to meet requirements of the increasing population, the ‘unplanned’ and ‘illegal’ housing societies coupled with climate changes are eating up the farmlands of Khyber Pakhtunkhwa. The record of Peshawar Development Authority (PDA) terms most of the housing schemes in Peshawar ‘illegal’, where just 5 out of the total 74 housing schemes are registered with PDA, the rest operates ‘illegally’. The Supreme Court of Pakistan was informed on 18 October 2018 that there are a total of 208 unregistered or illegal housing schemes in Khyber Pakhtunkhwa, most of them are build on prime agriculture land. Although the PDA claims of lodging FIRs time and again, against most of the illegal housing schemes in the city, however, there is no sign of improvement in land use and it is raising serious concern over food security in the province. Although Peshawar is megacity, however, it still predominantly posses rural characteristics. According to Peshawar Land Use report, agriculture and allied sectors hold around 64 per cent of the land mass, followed by 11 per cent of the vacant land, 9 per cent rural settlements, 6 per cent urban residential, 4 per cent Water Bodies, 3 per cent roads, railway, terminals and others. Pakistan Bureau of Statistics provides that in the last two decades the housing sector has witnessed a significant expansion in KP raising the number of housing units from 2.1 million in 1998 to 3.8 million in 2017. “Currently, there is no section of law or policy that restricts the construction of housing societies on agriculture land,” An official of Provincial Housing Authority (PHA) told TNN on condition of anonymity, adding that “a clause should be added in the Land Use Policy on the local government level, to restrict the use of agriculture land for any other purposes.” Under the ‘site Development Scheme 2005,’ to establish a housing society there are many prerequisites, which includes land area, NOC from Environmental Protection Agency, road access, and location plan. However, there is no mention to restrict farmland for the establishment of housing schemes. 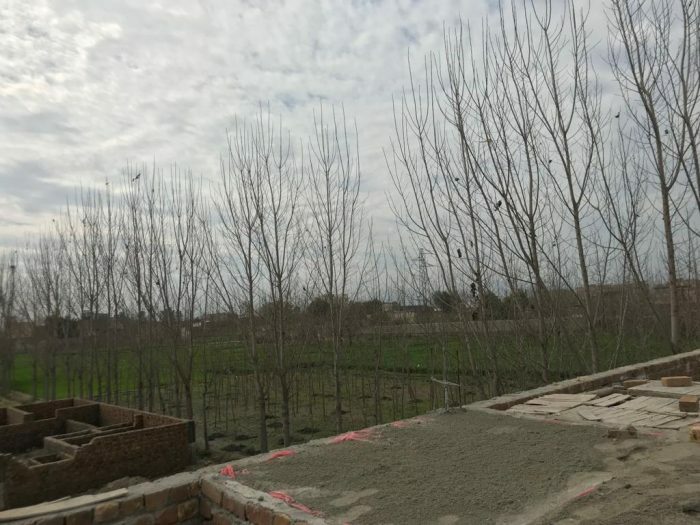 The PHA official added that most of the housing schemes in KP are established on agricultural land, even in Mardan orchards were rooted out to build housing schemes on it. The official claimed that the previous government was planning to restrict the use of farmland even for individual house units, however, the matter, later on, becomes a fairy tale. He suggested that the government should deploy town planners in each district, so that to develop a master plan segregating areas in various zones of residential, commercial, industrial and agricultural land, thus putting an end to the use of agricultural land for other purposes. One of the main reasons considered behind the growth of housing is the expansion of roads network in various cities, which has sprinkled hundreds of private housing societies in the province. The roads within the city, for example, the Ring Road that was built on prime agriculture land, outside the city. Not only the road that has eaten up the farmland but within a few years, hundreds of markets and houses on both of its sides mushroomed thus the road on green fields. To Dr Rafique, we need to move forward towards technology-driven agriculture, for which vertical farming is the best option. Explaining that with vertical farming one can get the yield of 5 hectares land just from a single room. Dr Rafique stressed on academia to encourage farmers toward vertical farming with small scale experimentation. “If not acted on time, food will be a serious issue for everyone in coming times, the price of food will rise and many will lost green jobs,” Dr Rafique warned. He said that maximum of housing societies are established on the northern side of the city on GT road, which is prime agriculture land. These societies include Sheikh Yaseen Town, RegiLalma, DHA, Prime and Faisal Housing Schemes among many others. “Peshawar with its 2000 years history his so far utilized 145 square kilometres, however, compare to that, just in the coming 20 years it will utilize estimated 142 square kilometres of land,” he predicted. 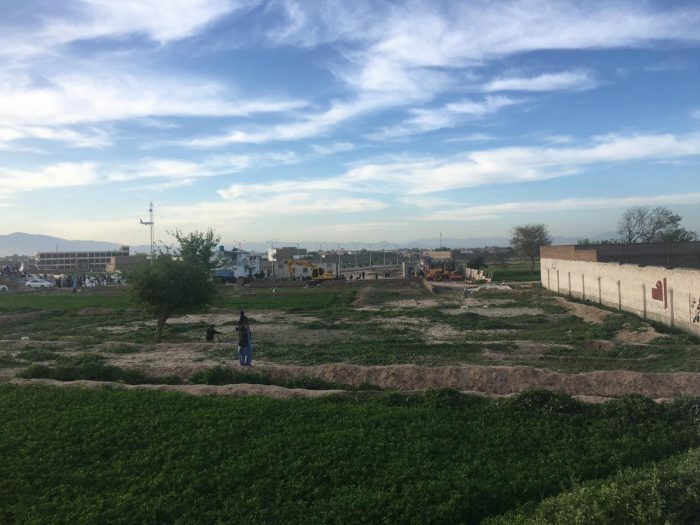 The official revealed that to restrict agriculture land in Peshawar for housing or any other purposes the Land Use Plan has been completed which will be presented to cabinet in coming months. A senior official of Agriculture Extension Department said that to restrict the housing schemes on agricultural land the department had meetings with Planning & Development and Revenue department, however, the matter is still pending. To him, the private housing schemes on farmland is a serious concern for the department, however, nothing can be done without the cooperation of other related departments. The official stressed on the government to encourage vertical housing in urban areas to protect the precious agriculture land from further deterioration. Chairman Agronomy Department, Agriculture University Peshawar Dr Muhammad Akmal while talking to TNN questioned the classification of the legality and illegality of housing societies. “When there is no land classification on the government side, how can one term a housing scheme legal or illegal,” Akmal maintained “To decide the legality, the government should define land use policy with a proper categorization of the land.” Dr Akmal is also sceptical of vertical housing, by saying due to cultural values people often oppose building with more than 3 stories. Adding that, the government should start vertical housing with a comprehensive plan. Dr Akmal added that non-mechanized agriculture, low production yield, lack of fertilizers and land distribution due to inheritance in KP triggering the conversion of agriculture land for other uses. He said, that due to low yields conversion of farmland to shops, houses and other schemes is more profitable for the landowners. He suggested a series of reforms for the potential threat of food security in future, which includes a comprehensive work plan to increase agriculture production, reforms in the inheritance land distribution pattern, and land use policy.